Council member Wesley Bell answers questions from reporters. Bell told St. Louis Public Radio that councilmembers would likely bring a 131-page consent decree back up for consideration. 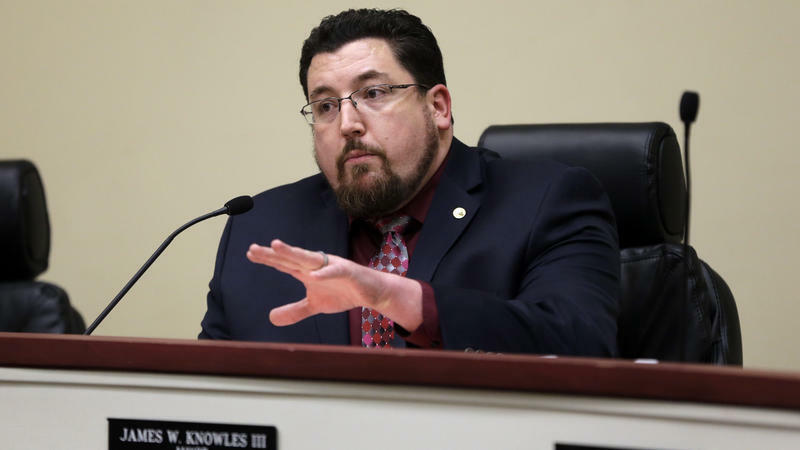 A member of the Ferguson City Council says his colleagues will likely reconsider a sweeping consent decree implementing major changes to the beleaguered city’s police department and government. The move comes roughly a month after the council rejected aspects of the decree, which came about in the aftermath of Michael Brown's shooting death. The decree would require Ferguson, among other things, to provide additional training, body cameras and procedural alterations to the city’s police department. It would also make big changes to the city’s municipal court and administration. But citing cost concerns, council members placed a number of conditions to accepting the agreement – which compelled the DOJ to file a lawsuit against Ferguson. Ferguson finance officials cited an estimated cost between $9.4 million and $15.8 million over five years — compared to $4 million to $8 million to go to court. Since that time, Bell said the DOJ provided assurances to city leaders on a number of key financial points – including the thorny issue of increasing salaries for police officers. The St. Louis Post-Dispatch obtained a copy of a letter from Vanita Gupta, the head of the DOJ’s civil rights division, stating the agency would drop its lawsuit if the city signed onto the initial consent decree. Bell, who put forward the motion to place conditions on the decree, said on Sunday that a bill that accepts the consent decree should be up for “first reading” at this Tuesday’s council meeting. Typically, it takes the council at least two weeks before members finally approve something. Supporters of the consent decree say big alterations to Ferguson’s government is necessary in the wake of Brown's death. But detractors – including a number of Ferguson residents – worried that the agreement would ultimately bankrupt the financially strapped city. “The community policing that’s in the decree has already begun,” Bell said. “There’s civilian review board. That ordinance is almost ready for first reading. Court reform has already been initiated. Even during the time from the initial meeting where the conditions were proposed, we’d given our staff directives to start implementing as much as of the decree as possible. “I think, honestly, by bringing this back up for a vote with assurances from the Department of Justice that they’re going to work with the city, I think it’s a win-win,” he added. 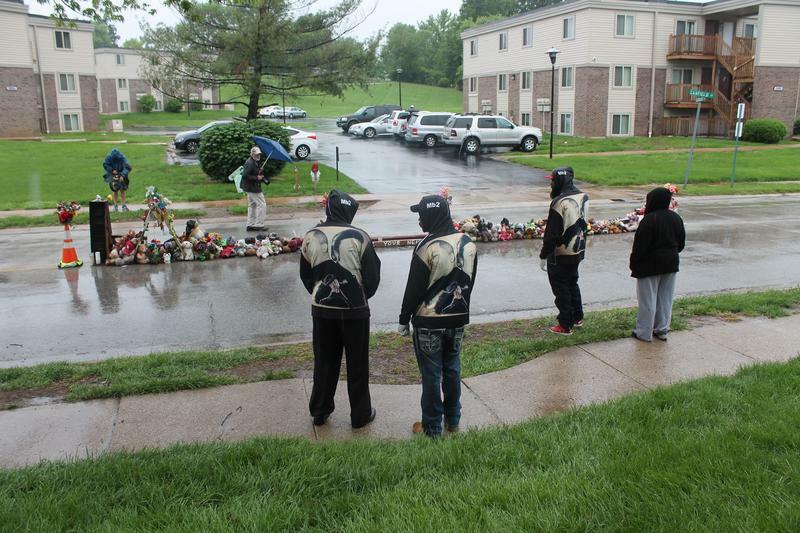 The Ferguson City Council is set to meet at 7 p.m. Tuesday at Ferguson's City Hall. Faced with one of the most monumental decisions in its city’s history, the Ferguson City Council voted to attach conditions to a consent decree with the federal government. The move is not sitting well with some of the embattled city’s residents – or the Department of Justice. It’s not hyperbole to say that Tuesday’s vote on a proposed consent decree with the federal government is the biggest decision in Ferguson’s history. The 131-page document casts a huge structural and financial shadow of a municipality still reeling from the shooting death of Michael Brown. If the Ferguson City Council votes to accept the agreement, it could deliver monumental changes to the city’s police department and government – at a hefty price tag. On a cloudless July morning, there’s a tranquil aura around the Corner Coffee House as the clock ticks closer to the Aug. 9 anniversary of Michael Brown’s death. Daily protests have petered out and the hordes of reporters who camped out here have moved onto the next story – at least until this weekend. 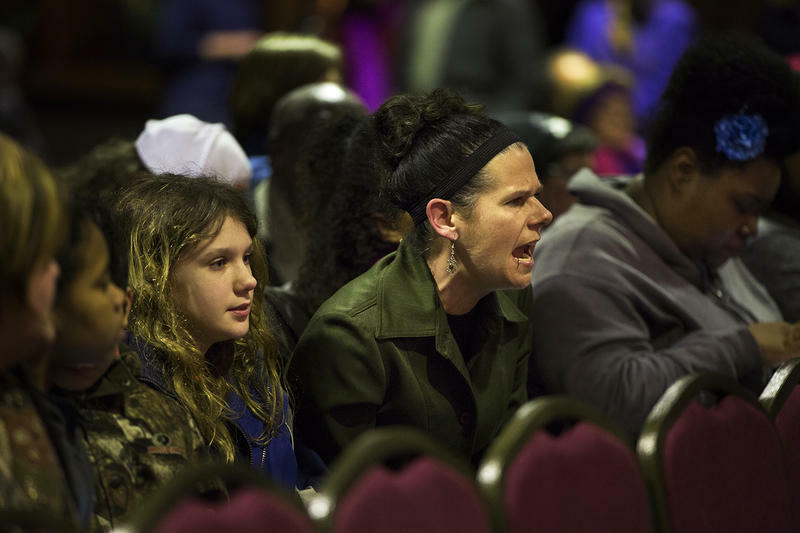 But for Ferguson residents like John Powell, there is no new normal. There’s no Aug. 8. The Catholic school teacher who’s lived in Ferguson for nine years says the town he once knew will never be the same. 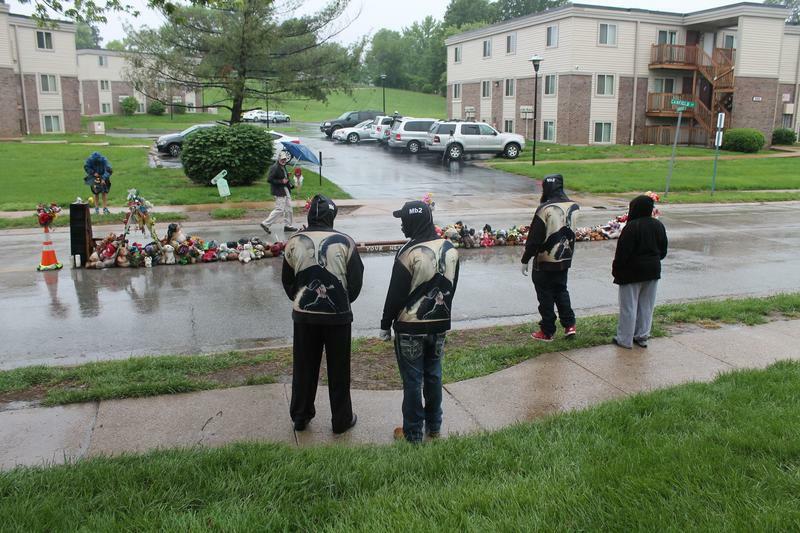 When Michael Brown Sr., came to the spot where his son — Michael Brown Jr. — was killed, he had the marker to show where a worldwide movement began. 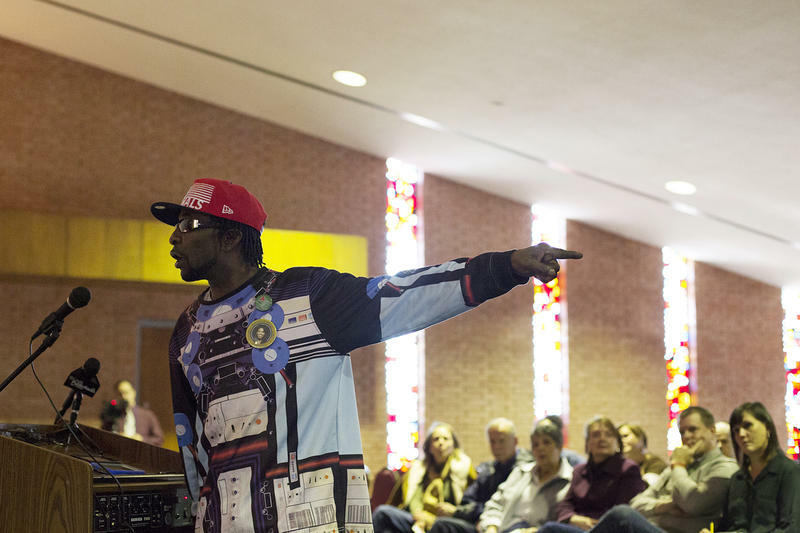 Right after Ella James, Wesley Bell and Brian Fletcher were sworn in as new members of the Ferguson City Council, one of the legislative body’s veteran members provided some advice — both for his new colleagues and the people of Ferguson. 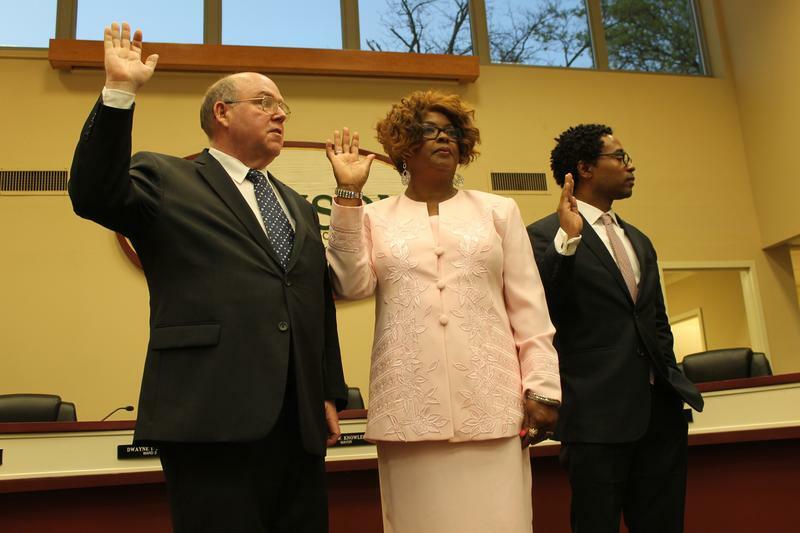 After the aftermath of Michael Brown’s death brought nationwide attention and scrutiny on the St. Louis County suburb, Councilman Dwayne James implored the new council members and the general public to be accountable. This summer, a nationwide movement known as “The Peace Train,” will start its tour across the country in Ferguson. The program’s mission? Bringing together people from all backgrounds to sing about shared values and hopes for a better future. 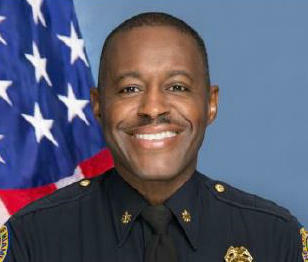 Ferguson has selected a veteran of the Miami police department to be its new police chief. The Justice Department slapped the city of Ferguson, Mo., with a civil rights lawsuit this week after the City Council voted to change a proposed settlement agreement to reform the police and courts. When Attorney General Loretta Lynch announced the suit on Wednesday, she said Ferguson police disproportionately targeted black people for traffic stops, use of force and jail sentences. 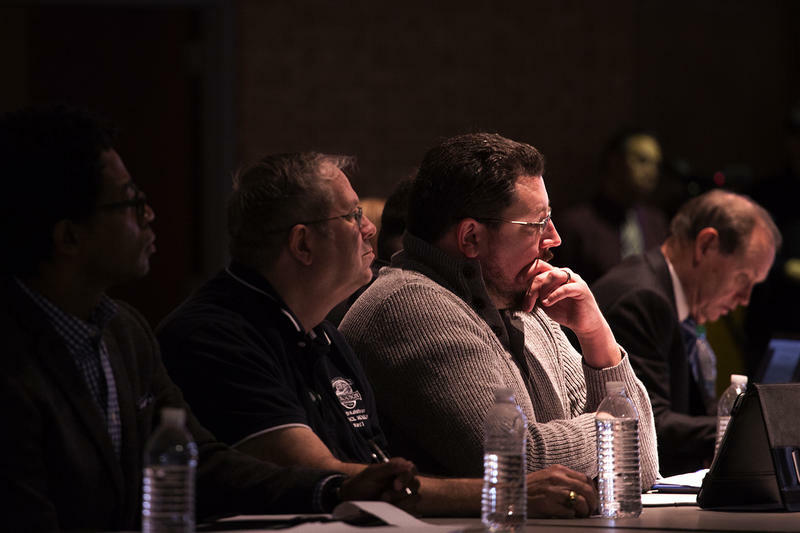 Community stakeholders continue to give conflicting messages to Ferguson city council members as the council approaches an expected vote Tuesday on a proposed consent decree with the U.S. Department of Justice. The city held its second public forum on the proposed decree Saturday, with a long list of passionate speakers keeping the meeting in session an extra hour. City officials also spent time answering questions raised at the previous forum, and Ferguson’s outside attorney hired to negotiate with the DOJ spoke for about 20 minutes.